Celebrate a special occasion with bookmarks and gifts from it takes two. Choose from a variety of bookmarks and note pads. Know someone who loves reading? Bookmarks make great gifts. Give them to volunteers and staff members or keep one for yourself. Buy bookmarks and gifts from it takes two. Handy Tip: Looking for specific bookmarks? 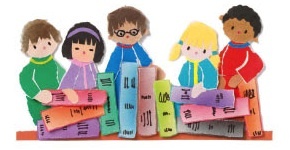 Shop for volunteer bookmarks, nursing bookmarks and teacher bookmarks! Quick shop -- Jump directly to: BK106 - One Day At a Time BookmarkBK100V - Toot Your Horn for VolunteersBK101V - Volunteers Bring Sunshine BookmarkBK102V - Volunteers Matter BookmarkBK103V - Nautural Resources BookmarkBK104V - Extraordinary Heart BookmarkBK105V - Circle the World BookmarkMARK-N - Whimsy Nurse BookmarkMARK-N3 - Hands'n'Hearts Nurse BookmarkBK238 - Cute Flower BookmarksBK251 - Moon Reading BookmarksMARK-V20 - Extraordinary Heart Bulk BookmarksMARK-V4-20 - Star Volunteer Bulk BookmarksMARK-V9-20 - Blue Volunteer Bulk BookmarksMARK-V8-20 - Build Hope Bulk BookmarksMARK-V7-20 - Gift of Time Bulk BookmarksJRL02B - Floral Bookmark and Journal Set for Volunteers.